It was when Holiday was around 18 months that I really began to get into the boutique children's fashion world. It started innocently enough with our first Persnickety outfit, but as many of you mamas know-- boutique fashion is a slippery slope! Before long, a "few special outfits" turned into complete seasonal wardrobes. And before long, the cute clothes turned into a growing list of matching shoes, ruffle knee socks, jewelry and hair accessories to go with it-- we're talking COMPLETE PACKAGE! In my quest for the most adorable accessories, I soon discovered Appelilly Couture. Becca Dickerman has made THE most adorable hair accessories for Holiday over the past few years. She has such an eye for quality, colors and design. She takes our outfits from cute, to over the top gorgeous! She's so easy to work with and has quick turnaround times! She has made so many of our photo shoots and birthday outfits EXTRA special! 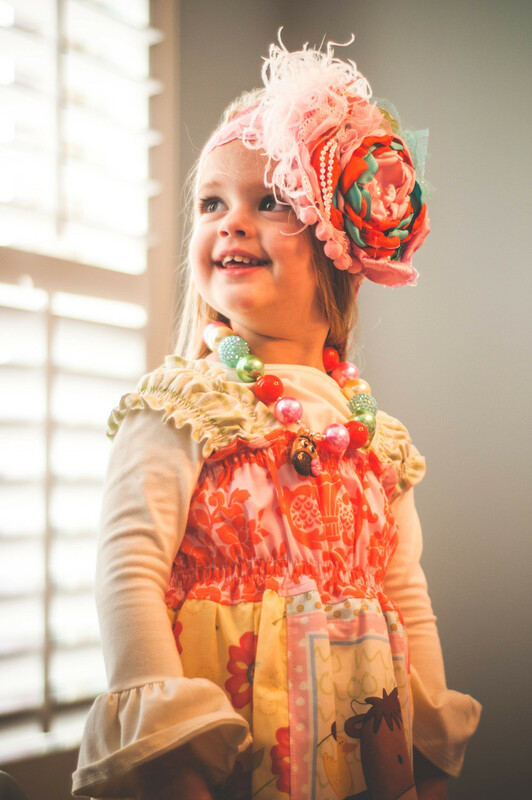 If you're in the market for the perfect hair accessories to match your little fashionista's Holiday wardrobe-- order TODAY (before her Christmas cut off)!!! I wanted to share with you some of my favorite Appelilly creations!